Starbucks is giving workers more flexibility in direct response to a New York Times story from earlier this week, which highlighted how the coffee company's scheduling policies were negatively affecting parents who work there. SEATTLE: Starbucks is giving workers more flexibility in direct response to a New York Times story from earlier this week, which highlighted how the coffee company’s scheduling policies were negatively affecting parents who work there. The Times piece, written by correspondent Jodi Kantor, focused on the story of 22-year-old barista and mother Jannette Navarro who rarely learned her work schedule more than three days before a workweek started. "[The Times] story brought important issues to light and we immediately focused our efforts and energy on making these right and then communicating those changes clearly and quickly," Corey duBrowa, Starbucks’ SVP of global comms and international public affairs, told PRWeek via email. Starbucks’ internal PR team managed comms on the issue, duBrowa confirmed, adding that his group saw the Times story when it broke on Wednesday evening, and by Thursday morning had gotten back to Kantor with proposed policy changes. As part of these modifications, the company is working to update its scheduling software to give store managers greater ability to provide stability and consistency for staffers on a week-to-week basis. Starbucks will also not require staffers to work opening and closing shifts back-to-back, and it will transfer employees to a location closer to their home if they have a commute of longer than one hour. Another change is that all employee schedules must be posted at least one week in advance, with no exceptions. The Times wrote a follow-up citing these changes, and other outlets such as Bloomberg and CNN reported them, as well. Starbucks' comms team then posted some of the stories to the newsroom page on its corporate website and its @StarbucksNews Twitter feed. The chain also took to Twitter and Facebook to ensure that its policy changes were "clearly and broadly" communicated, and to start a dialogue with partners and other key stakeholders, so the company could immediately take their feedback into account, explained duBrowa. Yet the most important audience Starbucks must communicate with in this situation is its own employees, he added. Comms efforts are also focused on customers and the broader public. 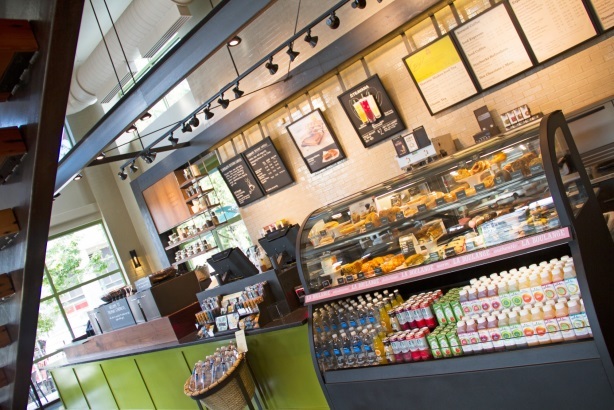 To communicate the scheduling policy changes internally, Cliff Burrows, Starbucks’ group president for the US, the Americas, and Teavana, sent a system-wide email to more than 130,000 US partners on Thursday. In the letter, which duBrowa described as the most important piece of communication on this matter, Burrows admitted he was "troubled" to read about the company’s scheduling challenges in the Times and outlined the changes. "[Navarro’s] experience is just one example of where we can’t rest on status quo and must rise up to our mission and values to be a different kind of company that consistently leads through the lens of humanity," he wrote. "We must do all we can to deliver the best for our partners because they deserve our very best." Burrows is also working with his leadership team to schedule a series of phone calls with Starbucks field leaders to ensure understanding and commitment to implementing these changes as quickly and efficiently as possible, said duBrowa. "We must do all we can to deliver the best experience for our [staffers] because they work so hard to deliver the best experience for our customers," he said. "When those aims are out of alignment with one another, it’s our responsibility as leaders to address these disparities and fix them – quickly, efficiently, and permanently." Starbucks' latest staffer-relations efforts follow June’s announcement that the chain will offer financial aid and tuition reimbursement to employees who enroll in online degree programs at Arizona State University. Should a CEO make their personal values part of a message from their company?